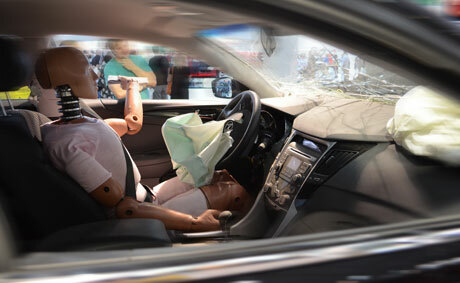 Faulty airbags, ignition switches, acceleration problems - the list goes on. Recently we've seen some of the largest recalls in automotive history. This means there has been an ever-climbing chance that the vehicle you've been driving could have been unsafe or ineffective in protecting you in the event of an accident. Perhaps you were in an accident where the airbags didn't deploy, or your brakes seemed to have failed? If you suspect you or a loved one was a victim of a recalled automobile failure, it takes little effort to contact a lawyer and see if you have any options. In the meantime, if you've got questions about whether a vehicle has been listed in a recall, the government has set up a website, Recalls.gov, where you can search not only motor vehicle recalls, but any Federal product recall. Contact the Law Office of Patrick J. Cremeens today, for more information on Automobile Recalls, Florida's Lemon Laws, consumer rights and more!